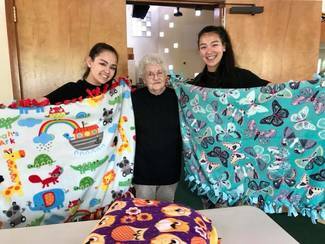 The job: Help make cozy fleece blankets to wrap young and old in love and warmth. Can you use scissors and tie a knot? You're qualified! Good for ages 5 to 105. All ages at parent discretion. Blankets will be delivered to Eastside Baby Corner, LifeWire Domestic Violence Shelter, and Vision House.